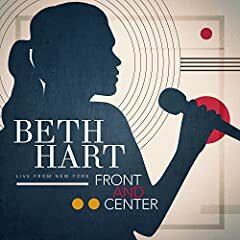 Beth Hart (born January 24, 1972) is an American singer, songwriter and musician from Los Angeles, California, United States. She rose to fame with the release of her 1999 single "LA Song (Out of This Town)" from her second album Screamin' for My Supper. The single was a number one hit in New Zealand, and reached the top five on the US Adult Contemporary chart, and number 7 on the Billboard Adult Top 40 Chart. Subsequent albums, namely Seesaw and Live In Amsterdam by Beth Hart and Joe Bonamassa, achieved number 1 status on the Billboard Blues Album Chart.